Now that you have a good understanding of the functions in the post editor, it's time to start creating some content for our site. So in this video, we'll create our first post. From the toolbar, you can simply select New, Post from the dropdown menu to enter the post creation panel. You could also select Add New underneath Posts in the navigation menu.For our first article, I'll start by entering a title. WordPress automatically creates a link to this post, which is called the Permalink. This is the URL, or web address, where visitors will view this new post once it's published. You can edit this Permalink if you like to make the URL easier to remember, and Share. Next, I'll paste some content that I've created ahead of time into the content editor. Notice that the editor automatically resizes to accommodate the longer content, and as we scroll up and down, the toolbar sticks to the top of the editor keeping the formatting tools available at all times. If you don't like this feature, you can disable it in the Screen Options at the top of the page. It's a good idea to assign your blog post to a category. Categories allow you to organize your posts into topics, or groups of related articles so that your visitors can quickly find all the articles within a specific category or topic. You can also create a new category directly from this module, and any new categories you create here will also be available for use in future posts. And you can assign a post to more than one category if you like. Finally, let's enter a couple of tags to further categorize this post. 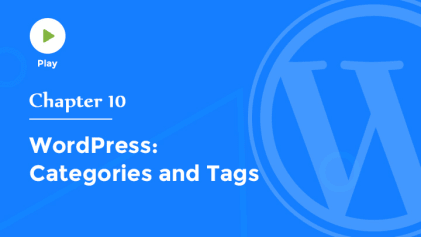 Tags are like keywords, one-word summaries of your new post or article, and in most themes, they appear as a link underneath the category enabling your readers to easily find other articles containing the same tag. It's also a good idea to choose a featured image for your article, a large photo or image that will add visual interest or set the tone for your article. I've got an image on my desktop that I think will work nicely with this article, so I'll click and drag the file from my desktop into the file uploader and then release the mouse button. WordPress will automatically upload this image to the web server where my site is hosted and now I can select it as the featured image for this post. When you're ready to publish your post, the Publish module is your last stop. You can choose to Save a Draft so you can come back and work on this again later, or click Preview to see what the post will look like when it's published. Status indicates the state of the post. Pending Review means the draft is waiting for review by an editor or administrator before it can be published. Draft means the post has not yet been published and remains a draft for you to continue working on. Visibility determines how your post will appear to everyone else. Public posts will be visible to everyone who visits your site, and a sticky post will ensure that this post stays at the top of your blog page, even after other posts are published. Password protected posts are published but visitors must enter a password that you specify here before they can view the content. And Private posts are visible only to you and the other editors or administrators of your site. By default, your post will be published immediately, but you can also schedule a post to be automatically published at a future date and time, or you can choose a date in the past to backdate posts. When you're happy with your settings, click the Publish button. WordPress will save and publish the new post, and now we can view it on our site.Notice the featured image at the top, followed by the remainder of our content. And just below the body text, we'll find the links to the tags we assigned to this post enabling our readers to easily find other related articles on our site. 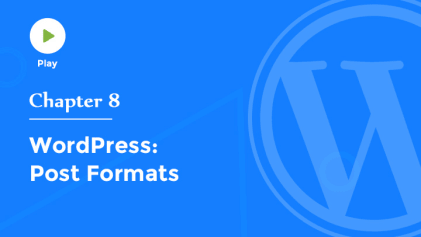 Now that we've created our first post, let's take a look at some of the post formats that are available.